​Throughout the semester, being able to better my artwork and create beautiful pieces is what inspired me. I created my artwork the way I did because I wanted each piece to be different each time. I wanted to explore and experiment with different types of media. The different types of media that I've explored with throughout the semester is oil pastels, spray paint, modeling clay, and acrylic paint. I really enjoyed working with the modeling clay the most. Throughout this semester I learned a lot of new helpful and neat techniques that I can later on use for future art pieces. I'm really proud of each of the pieces I've created throughout the semester and I look forward to creating more very soon. 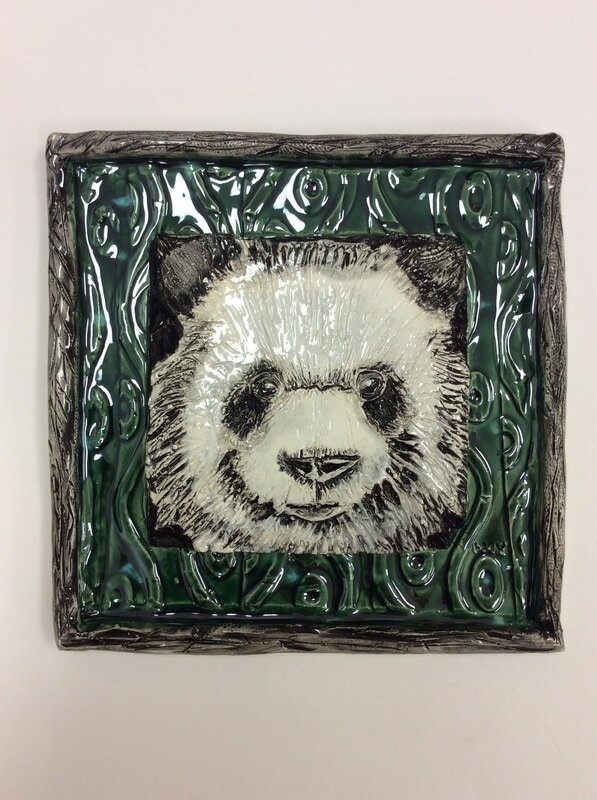 I feel like my most successful art project this semester was my panda head frame, Shanghai. I used modeling clay to and acrylic paint to create this. I felt like this was my most successful piece because it came out so beautifully and I would've never thought that I would be able to create something like that. A media I enjoyed working with this semester was spray paint. I ended up using it for the first time this semester when I created my wine vase bottles, Floral Arrangements. I used the spray paint to create designs on my wine vase bottles. I wanted to use neutral colors to make it look nice and complimentary to each other. 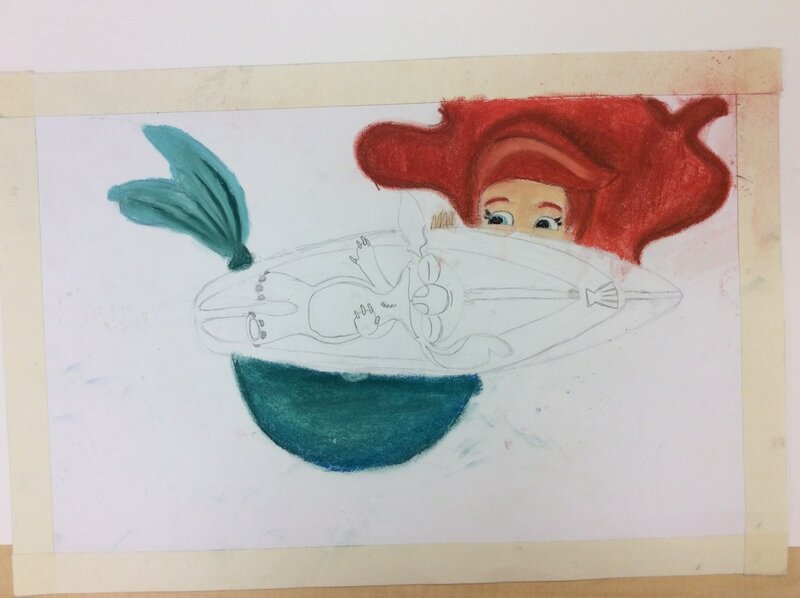 One project that I feel like I overcame obstacles was my piece with Ariel the mermaid and Stitch, A Whole New World. Some obstacles throughout this piece were not knowing what colors to use and learning how to blend colors. When it comes down to using oil pastels, I struggle heavily. But at the end my piece came out pretty nice and I love the way the colors compliment each other. The name of my artwork is A Bird's Song. 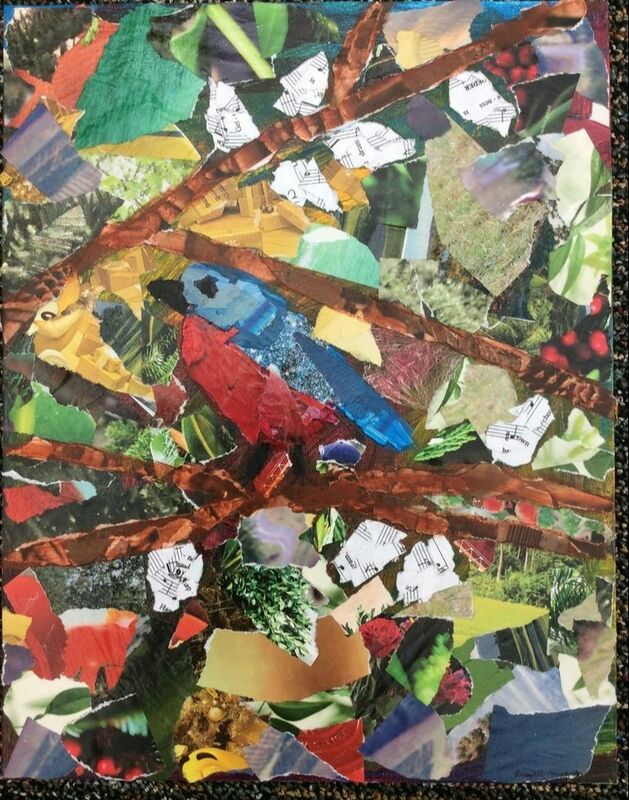 It is a collage of a canvas piece of a bird on a branch with music notes as the leaves. I painted this canvas with an array of colors and then I cut out different pieces/colors of from magazines and put it on my canvas. 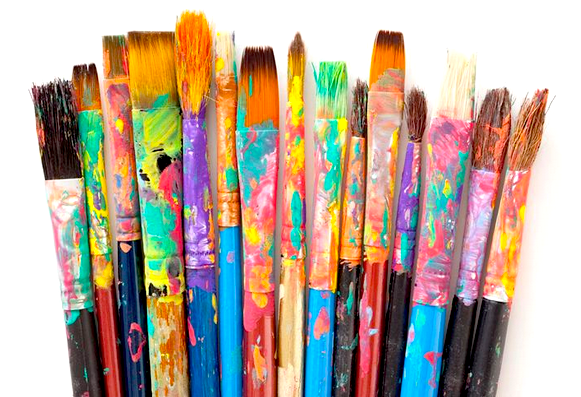 Some techniques I needed to understand before beginning my art piece is being able to know exactly which colors I would be using for my canvas and how I wanted it to turn out. I needed to know how to color coordinate and make sure I use a maximum of about 4-5 different colors for my piece. What inspired me was Rumi's (who once was a famous poet) quote, in which he stated "I want to sing like the birds sing, not worrying about who hears or what they think". My goal as an artist was to create a "WOW!" piece and have my audience understand who and/or what my pieces are referring to. This piece helped me learn that you can be creative with many things if you just my your mind to it. The name of my artwork is Floral Arrangements. 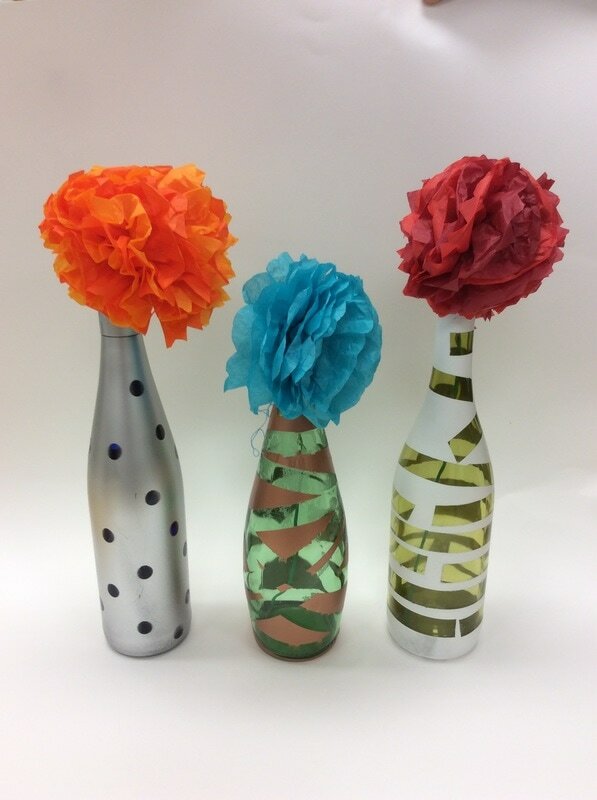 It is an arrangement of flower vases upcycled from three wine bottles. They then were each spray painted with different designs on each of them and afterwards tissue paper was used to create paper mache flowers. Some techniques I needed to understand before taking on this project was being able to know how to color coordinate the whole point is for the vases to be together as a centerpiece for a table top. 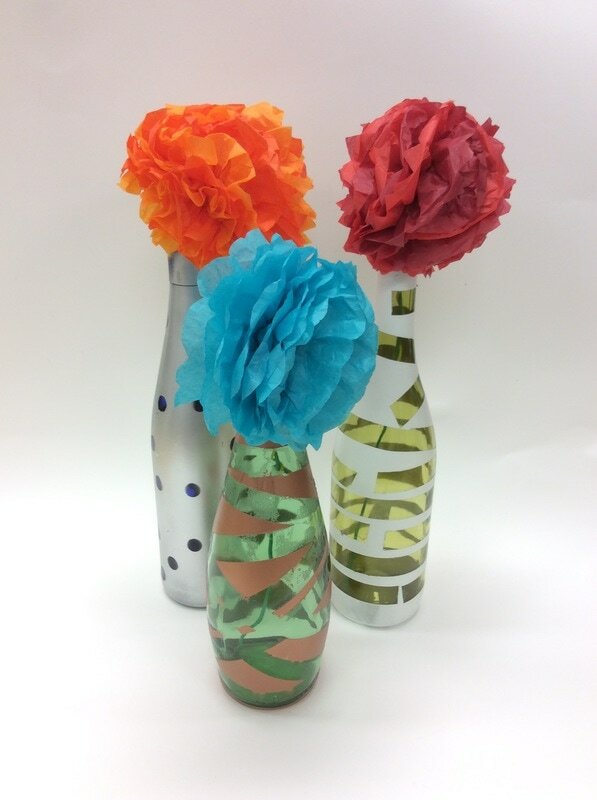 What inspired me was when I was looking through a book and it had the idea of creating flower vases from wine bottles. My goal as an artist is to make my pieces seem realistic throughout time. This piece helped me reach my goal because this is a piece that people can use in their everyday lives. This piece helped me learn that you can create art from recycled materials and turn them into objects you can use in your everyday life. The name of my artwork is Shanghai. 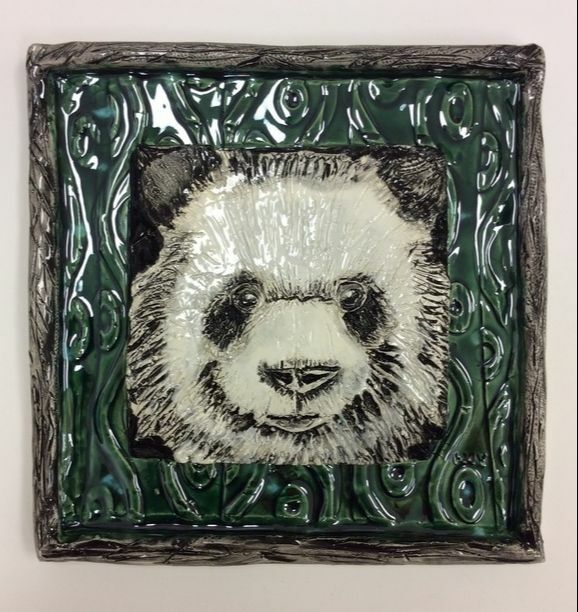 It is a portrait of a 3D panda head on a frame that can be hung for the wall. The elements that stand out in my art piece are line, form, and texture. My art piece was created with modeling clay. Some techniques I needed to understand before starting my art piece is knowing how much clay I needed to create it. I also had to know how to shape/form my clay to the way I wanted for my panda's head. A YouTube video inspired me to create my piece. The YouTube video was based on how to draw a realistic panda head and I thought this would be even more cooler if it were created as a 3D panda head. My goal as an artist is to make my pieces seem a bit more realistic as I begin to create more over time. This piece helped me reach my goals because I would've never thought that on my first try with creating a 3D piece, it would've turned out this amazing and realistic. This art piece helped me learn that it takes a lot of patience to create something like this. I learned that modeling clay as well as carving tools for clay can really help your art pieces look very realistic if you know what you're doing and exactly what you want to create. This helped me know exactly what tools to use next time I create an art piece like this as well as the techniques I used throughout the creating process. My art piece is named A Whole New World. It is a piece of the two Disney characters, Ariel the mermaid and Stitch, together in the water. Ariel is underwater, under Stitch's surfboard while Stitch is on his surfboard, relaxing. The elements that stand out within my work are shapes, value, and space. The media I used for my artwork are soft pastels. 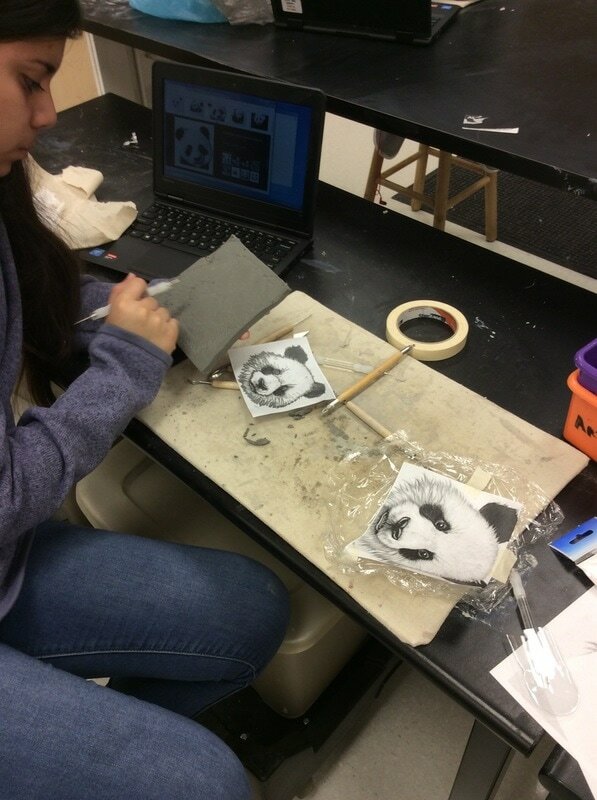 Throughout the process of creating my artwork, the techniques I had to understand is knowing where to darken the shading within my art piece and knowing how to blend colors to make the art piece look realistic. 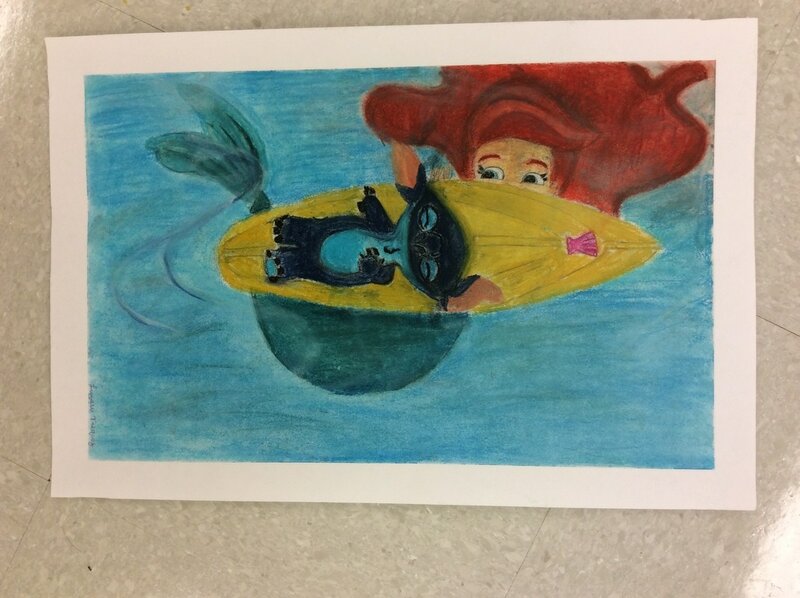 Pinterest helped me with coming up with the idea of creating a piece with both Ariel and Stitch together. The site had many different ideas and art pieces of different Disney characters together and they all looked amazing. An emotion I wanted my art piece to develop within the audience is amazement because Ariel is always amazed by the people and objects she's observed throughout her life. My goal as an artist is to continue to create pieces that look somewhat realistic in a way and to perfect my skill on shading in the right areas within my pieces. This piece helped me reach my goal because as you look at the piece, you can tell where I have shaded and darkened in certain areas. 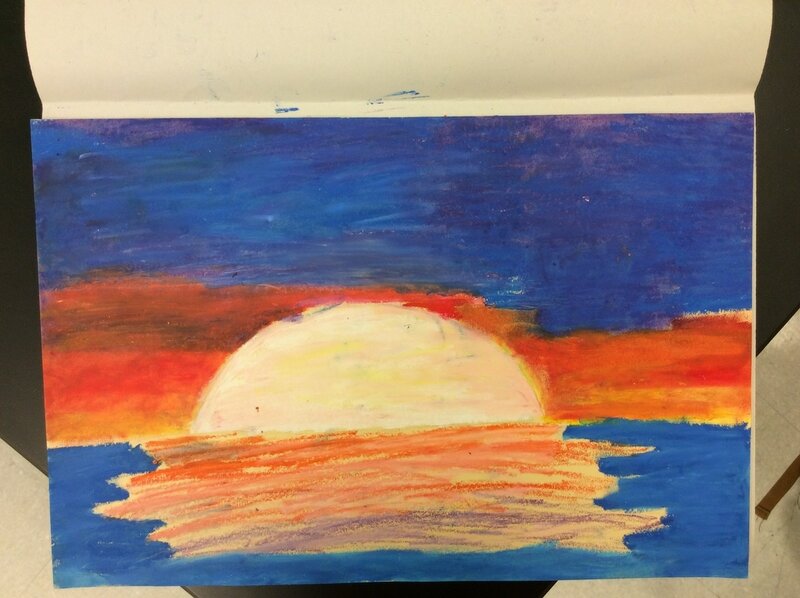 When creating this piece, I learned that with pastels, or with any kind of media, if you use them correctly, they can really make a picture "pop". I never would've thought my final piece would come out like this. You can depict which two Disney characters within this art piece. This piece helps me to take my time when it comes down to creating drawings such as this one. I enjoy learning new techniques when it comes down to creating art. I really look forward to the pieces I will create in this art class.